Captain Hammer, Dr. Horrible, Penny. . HD Wallpaper and background images in the Dr. Horrible's Sing-A-Long Blog club tagged: dr. horrible's sing-along blog image dr. horrible penny captain hammer fanart drawing color. 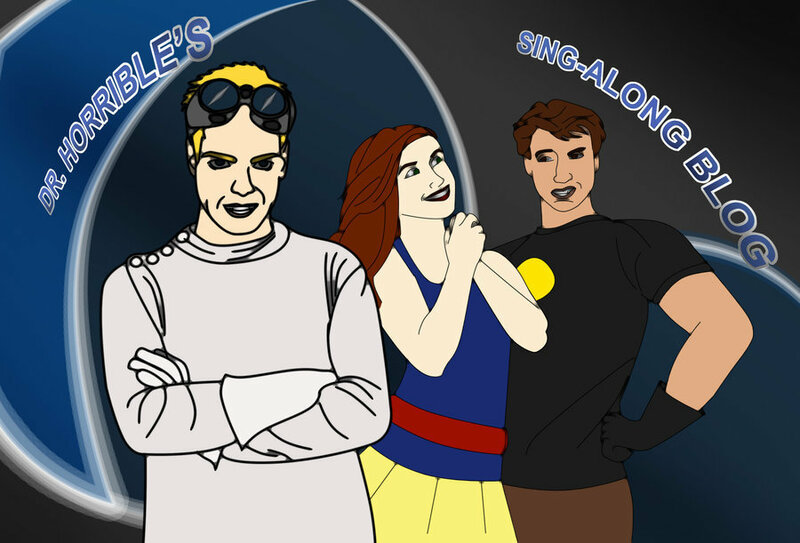 This Dr. Horrible's Sing-A-Long Blog fan art contains anime, comic book, manga, and cartoon.